The Man Card Crew, Is a home improvement TV show that showcases products & contractors while producing an unbelievable remodel with a shot of testosterone at 50% of the cost to the home owner! We also offer design/build services off screen as well. 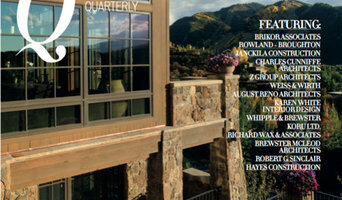 Luxury Home Quarterly Magazine is a publication dedicated to showcasing work by top professionals in the luxury residential market. LHQ is a national forum for professionals to feature residential and hospitality projects and products as well as discuss industry trends and strategies. LHQ’s high-caliber editorial process ensures that the thoughts, philosophies, and opinions of leading creative minds find their way directly to our readers. Featured companies are profiled not only by facts and figures, but also by history, approach, design concept, and artistic motivation—an often-overlooked editorial aspect in industry publications. Hi Houzzers. I am Angelica, a Certified Houzz Marketing Consultant. Along with my awesome team at Client Expander, I manage Houzz profiles as well as do really fun "digital PR" writing for our clients. I write about interior design on various online platforms. I am fascinated not just with the visually intoxicating aspects of design, but also the story behind the designs: the designers, their brands, the materials, etc. Our team at Client Expander ensures that everything I touch is optimized to rise to the top of the pile. We've got... count it!... 5 Certified Houzz Marketing Specialists on our team, and are experts in website design and development, social media management, digital PR, SEO, and Houzz management. We even have an awesome analytics and advertising guy and an amazing videographer. How fun!!! Our eyes are on results for our clients. Contact me if you want me to connect you with my peep! They are smart, caring, and hard working. Could you ask for more? Marketer, construction writer, public relations specialist and content manager for businesses and organizations in the architecture, design, building and outdoor living industries. Remodel NWI is your trusted resource for all your home design needs. We believe that remodeling your home has the power to enhance your environment aesthetically AND financially. You dream it and our trusted professionals will help you create it on any budget-GUARANTEED! Brandit 360 is an award-winning boutique creative advertising agency with locations in San Luis Obispo, CA and Chicago, IL. Services include branding, social media, website design and print communications. Brandit 360 is a proud member of the Home Builders Association of Greater Chicago and the National Association of Home Builders. 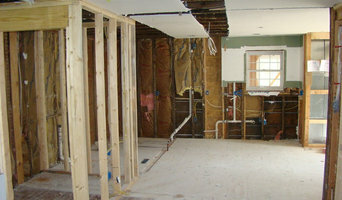 Remodeling contractor with a design blog and forum. Get all your home improvement questions answered by a professional here. Freelance writer, photographer and former PR agency executive with a penchant for creative arts. #1 rated real estate firm in Chicago (yelp). My blog, Town and Country Living, features a variety of home decor and recipes. I have a podcast with my design twin called www.bydesignpodcast where we give encouragement for your home and your soul. What do media professionals and bloggers do? Journalists and bloggers work to convey as much useful information to their readers as possible. 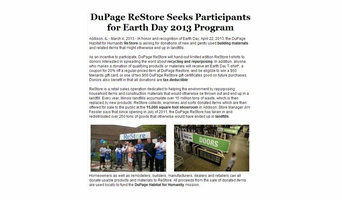 Whether they provide an in-depth look at a new development in the world of design, research on the best Westmont, IL vendors and resources for purchasing home furnishings, step-by-step instructions for completing a home improvement project successfully from start to finish, or inspiring images and thoughts on styles and trends in the home, blogs and other media provide endless resources for people interested in home design. Here are some related professionals and vendors to complement the work of media & bloggers: Photographers, Interior Designers & Decorators, Architects & Building Designers. 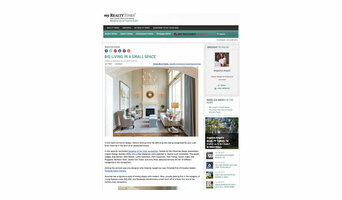 Media outlets can be wonderful sources for inspiring home ideas. Here you can find some of their work, including DIY home improvement projects, crafts, palette ideas, design solutions and peeks inside the houses of some of your favorite online and print personalities in home design. Scroll through for great inspiration and links to their websites.